Dim sum is a Cantonese speciality, bite sized portions of food cooked by steaming, frying or baking. In dim sum restaurants, trolleys stacked high with small steamer baskets are wheeled around and diners choose their favourites. There are also sweet dim sums, a much loved one is the egg tart. 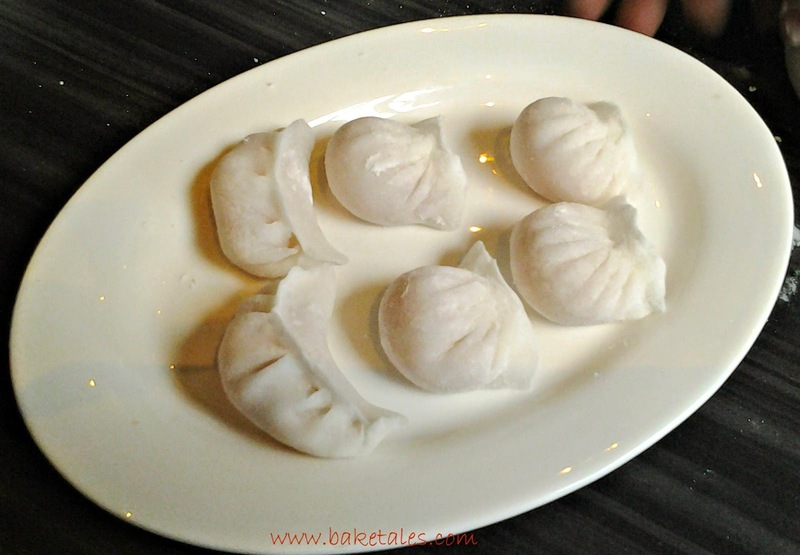 Many Chinese restaurants in Chennai do serve dim sum but only a couple of varieties. We were a privileged group from the Chennai Food Guide that got a hands on masterclass on making dim sums by master chefs Lee Chee Kee and Hee Sai Kit from Malaysia, at The Marina. We learnt how to make the translucent har kau dough. Potato flour and wheat starch were mixed with hot water, the dough cut into pieces and with his small rolling pin, the chef deftly rolled each piece into a thin disc. 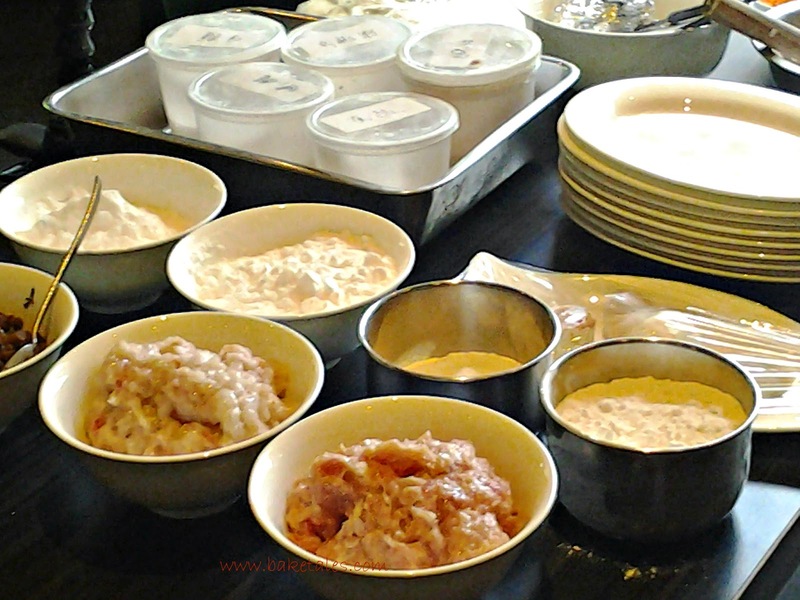 The filling was minced prawn and it was a treat to watch the chef's nimble fingers pleat the dough around it. Then he rolled out a few more discs, put in some of the filling and gave it to us to pleat. Suffice to say that none of ours looked anything like his. Very patiently, he corrected our mistakes. The siu mai wrappers were brought out and we thought it would be a cakewalk. Not at all. Where his was full of stuffing and neatly finished, ours had pleats and tucks which no self respecting siu mai should be seen with. And ours kept leaning over as the bases were not flat. Minor corrections and adjustments were made before they went into the steamer to be cooked. 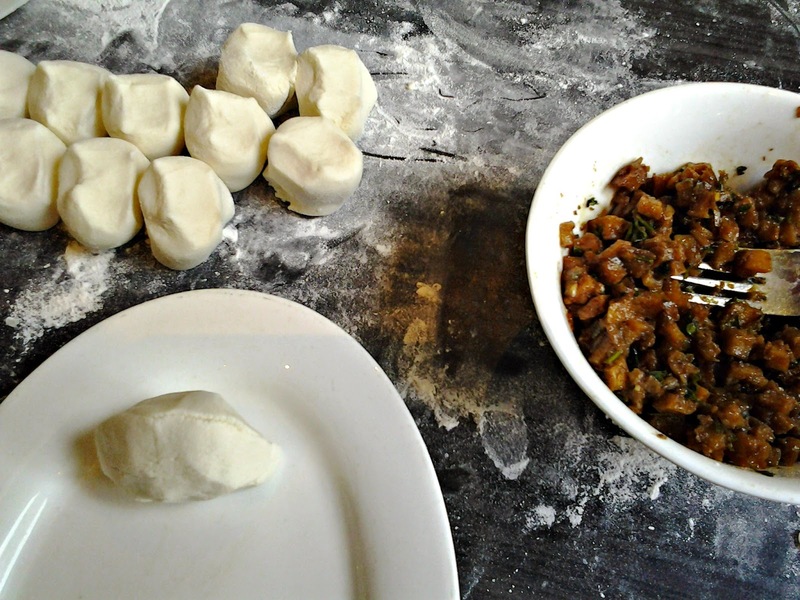 Next, we were shown how to make woh tips dumpling. Plain flour and rice flour were mixed into a dough and the filling was a mixture of minced chicken, prawn, Chinese cabbage and coriander leaves. The dumplings were then fried to a beautiful gold colour. 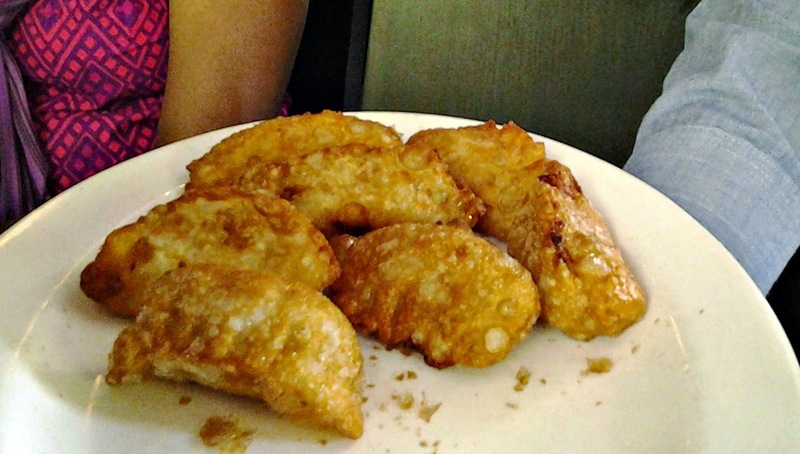 The master veg curry puff had cooked cubes of potato as a filling. Class was over and we were allowed to practice with the leftover ingredients. 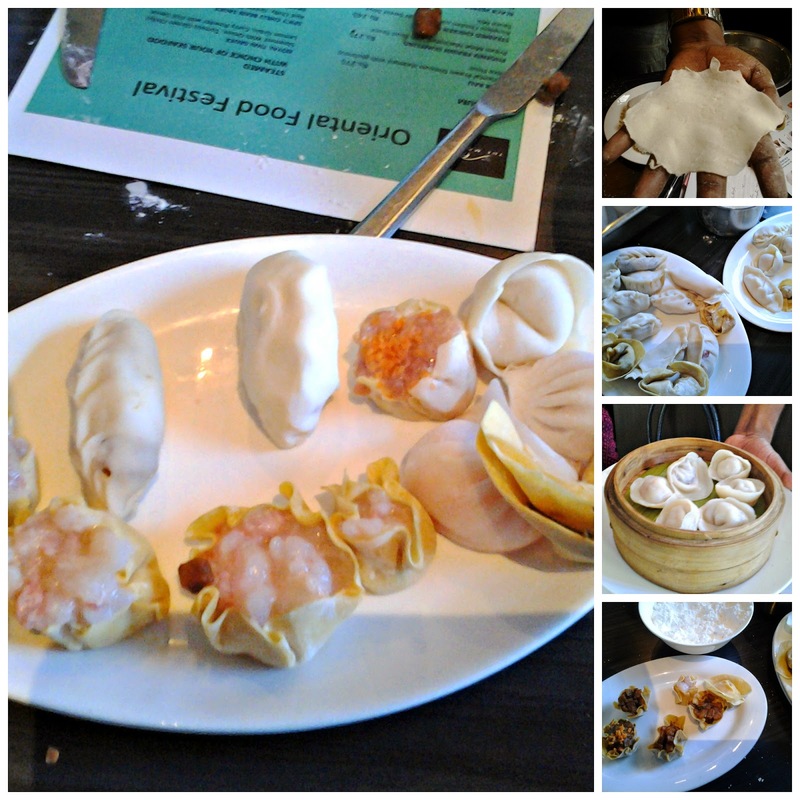 At the end of the class, we were served the dim sums we had made. Dim sum chefs undergo years of training, we sure have a long way to go considering we were doing it for the first time. All the same, it was a fun workshop.